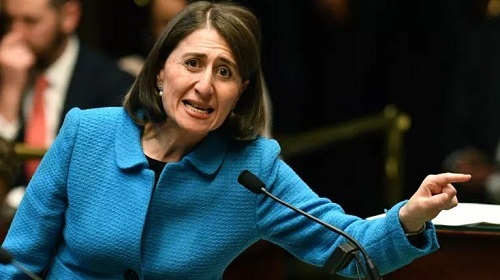 The Premier of New South Wales, Gladys Berejiklian signed a pokies agreement with the Coalition as well as the Clubs NSW worth billions earlier this week. Titled “The Memorandum of Understanding”, the deal will see the state hold off on tax increases, as well as any amendments to the gambling regulations in NWS ahead of the elections in 2019. The deal will see government revenue raise its tax revenue to AU$3.4 billion paid by clubs on the profits generated from slot machines. Contestation of the deal came from anti-gambling groups that argued over a less than scrupulous relationship between the NSW government and the clubs. Moreover, the agreement was signed on the eve of the Responsible Gambling Awareness Week. The current arrangement of the deal dictates that NSW clubs will receive tax rebates of up to 1.85 per cent of their slot machine revenue over AU$1million per year depending on the community outreach programmes or donations made by the clubs. The deal also means that clubs can now offer Aussies a variety of services they previously did not cater for, these include renewals of licenses, and birth, deaths and marriage services. The outcry from the main opposition, the Alliance for Gambling Reform is that this further exposed members of the public to possible gambling avenues. Tim Costello, the director of the organization lamented at the loss of approximately AU$25 billion to poker machines the last time a memorandum of understanding was signed in October 2014. If pokies machine at clubs is not your speed, Pokies.com has collected the most trusted casinos online for you to play for real money. Head over to our casino table for more AU pokies websites.